The 21-year-old, signed from Real Madrid Castilla, made five appearances for the Championship side. 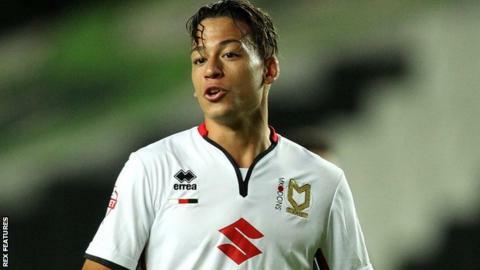 "Cristian has conducted himself in a highly professional manner since arriving, despite not playing as much first-team football as he would have liked," said Dons boss Karl Robinson. "We felt he was still quite a way from making an impact in the first team." Benavente had been called the "Peruvian Ronaldinho" and featured 33 times for Real Madrid's reserve side under manager Zinedine Zidane - who replaced sacked boss Rafael Benitez on Monday.